Bradley was putting together a publication as part of successfully receiving an Artstart grant through the Australia Council. The idea was to produce a little book of images of her recent works and current CV to send to galleries and what-not as a sort of harder-working business card. 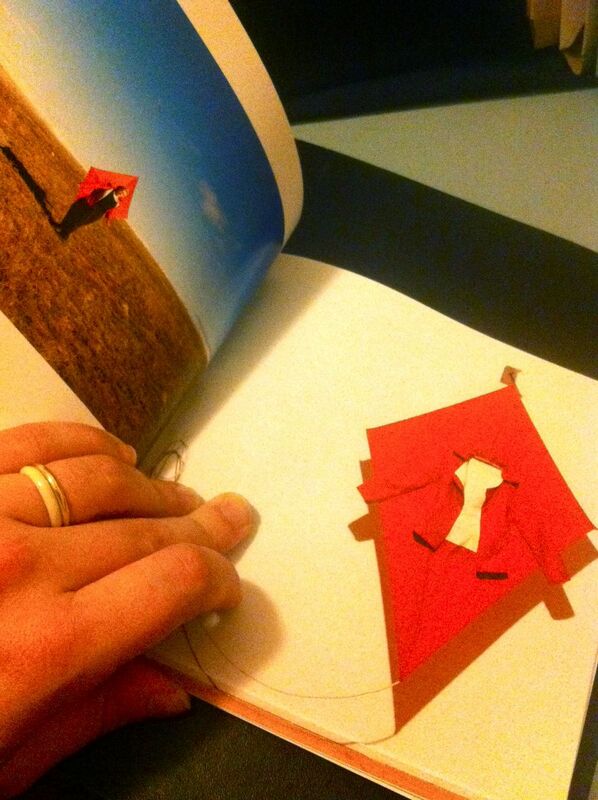 In addition, the book would feature a bit of thoughtful, rambling text about Bradley’s practice by yours truly. It really is a great idea and the format of a booklet is in no way obsolete. Back working in the Contemporary Art Space, I would forever be receiving CDs in the mail from artists as an introduction to their work, but the process of loading the disc meant they became something I would look at ‘a bit later’ and more often than not I’m ashamed to say I never got around to them. A booklet is so immediate, and gets picked up and browsed through without a second thought. Well worth considering putting something like this together if you get a bit of cash from a sale or grant somewhere and want to put it back toward your practice. Jac has very kindly allowed me to post my text here to share with you, so read on below if you like, but I recommend getting your hands on one of these books if you can, if only for the great images within! Also, be sure to check out her spiffy website if you’re interested in what else she’s up to. 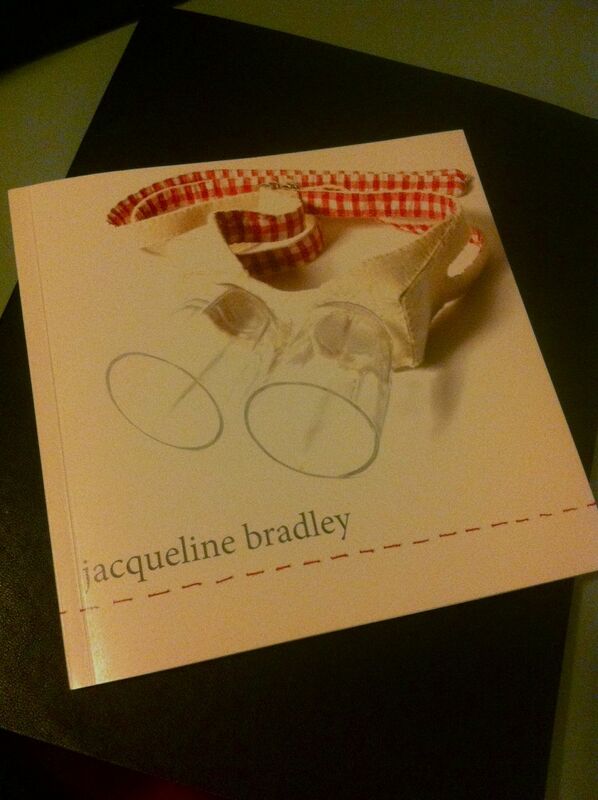 Already, Jacqueline Bradley is noted for her command of the objects and materials that surround us and we call our own. Felts and fabric, chairs and tables, cups, cutlery, pots and pans, shoes and clothing, tools, wallpaper and windows; the soft mechanics of our existence. Bradley has an intimate understanding of each object, informed by her lived experience, which in turn speaks to our own. Postal Chair, 2009 – a wooden chair supported on one side by a letterbox – facilitates waiting, but can also act as a locating device; somewhere that someone can always find you. The work is a poignant reference to separation and the passing of time that also offers a means of making the best of things. Other times these objects may simply give physical form to fleeting and indescribable emotional states; acknowledging them, finding comfort. In one of Bradley’s early works (How to Prevent Catastrophe, 2007) a teapot pours from its spout a small bag of felt, catching everything that is poured out and pouring it back in, all endless effort and frustration. In another, (Secret Panic, 2008) two teacups joined by a concertina of felt are able to move together and apart with an anxious breath and a sigh. We construct our environments the way that we do so that we may be comfortable – driving our cars everywhere, barricading ourselves within our homes. Bradley recognises objects and familiar possessions as an extension of this comfort, and her works address instances where this comfort can be found lacking. We surround ourselves, arm ourselves or put them on and everything will be fine. These art works are objects and constructions you can imagine in the real world – how they might be possible, the purpose they could have. Yet between each creation and the reality of its being is a ‘something’ imagined or fantastic; the strength of potential or the magic of things that can never really be. In On My Heels (2011), the charged symbolism of stiletto heels and candlelight meet in a relic of romance. The heel of each shoe is a taper candle, the wick burning as the sole is lifted to the sky. It is such a simple union, yet how does it work? Would you be putting the candles out with every step? Would you remain forever reclined, with feet kicked high? More often than not the quiet humour and wordplay present in Bradley’s works are a disarming means of arriving at deeper issues, and the resulting creations oscillate between the cultural, political and personal. Justifiably, many of the artist’s chosen materials and methods prompt consideration of the place of women in society. Other elements, with their implicit age and evidence of use, raise issues surrounding heritage, history and tradition. Bradley speaks always from her own perspective and experience, interested in why we are the way we are and why we do the things we do. The un-ignorable, and at times uncomfortable importance of being a woman in the male-dominated world of contemporary sculpture is never far below the surface, nor are issues of Australian society and identity from the viewpoint of a post-colonial background. These strong threads are many and varied, to be combed out by the viewer in conjunction with, or opposition to, any number of personal narratives, fears or predilections. By never professing to know where the meaning might begin and end in the eyes of the audience, Bradley is able to intimately connect with the individual. Continual and unwavering throughout her oeuvre is the absence or presence of the figure, the implication of the body and its interpretation of the sculptures. The 1:1 relationship of the object to the viewer fosters an immediate recognition and ownership of an imagined interaction; an inherent physicality that draws Bradley to sculpture over any other art form. Recently, this implication has given way to the photographic documentation of performances using the objects, as in Bradley’s 2011 series The Outdoors Type. This collection of wearable creations provides opportunities for increased comfort, enjoyment and assimilation with the outdoors, where one dress may double as a boat, another as a picnic blanket, or a jacket as a kite. These forms are fondly recognised yet surprising, constricting yet convenient, at once perfectly practical and poignantly futile. Imagery of the works in action is exhibited alongside the works themselves, and the artist herself can be seen, for example, tucked inside her boat, descending boldly into murky water. Each work, each participating object, with its disarmingly familiar materials and components, suggests any number of narratives, imaginings, memories or nostalgic longing for the viewer. Reading the surface of these objects is easy – Bradley provides the triggers to set us off from the same starting place. We can remain at the surface, or go as deep as we like – there are no wrong answers. We carry on to our own destination, led always by the things we have seen, the things we have owned, the things we have done.